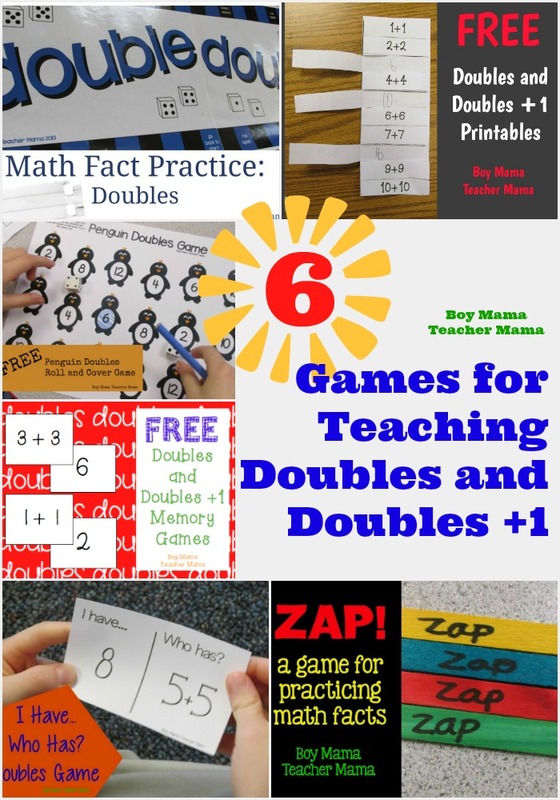 I am always looking for ways for practicing basic math facts and more specifically doubles facts. I created this easy to use and play game to help my students practice these facts. All you need is this printable, two dice and a pencil. If the dice ARE NOT doubles, the student then rolls again. 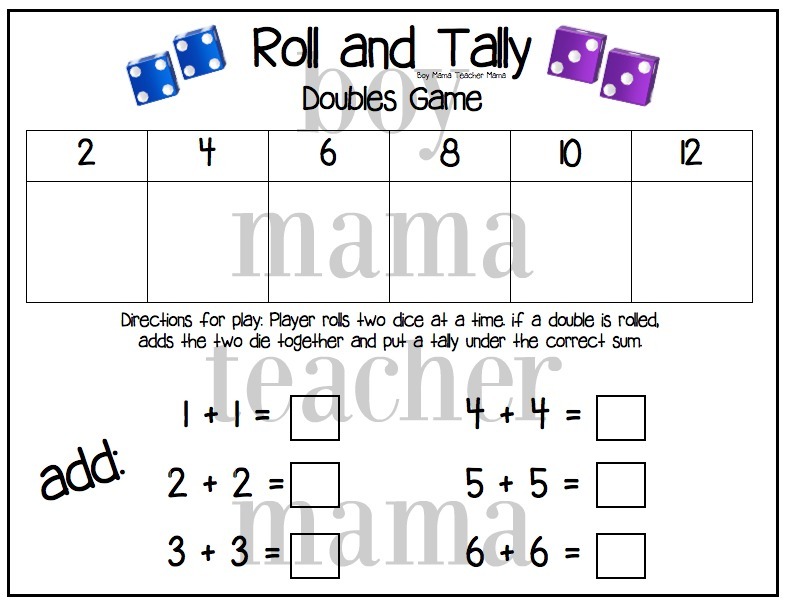 If the dice ARE doubles, the student should add the two dice together and put a tally in the correct column. For example, if the student rolls 2 + 2, she puts a tally in the 4 column. 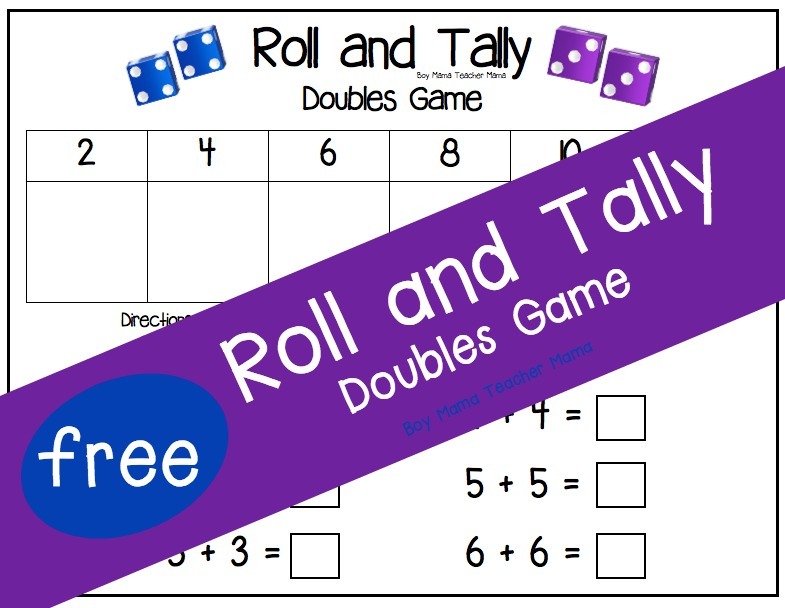 Students can complete the doubles problems before playing to help with the game or do it when they complete the game. This game can be played individually or with a partner. Great for math centers too! Click the image below for more doubles fun!